Taking precautions to beat the heat? 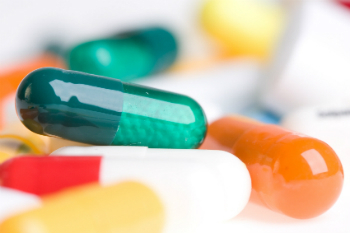 You may not realize that your child’s prescription medications need protecting as well. As you seek cool, shady spots while on vacation, or at home, don’t leave your medicines behind in the car, say experts at The Montreal Children’s Hospital (MCH) of the McGill University Health Centre (MUHC). Many medications break down at temperatures higher than 30 degrees Celsius. Much like what would happen to an egg when cracked on the sidewalk under extreme heat – the yolk and egg white would go from liquid to solid as it cooked - liquid medications and creams can potentially lose their potency and stability if exposed to heat wave temperatures. Capsules, powders and pills will also degrade under high heat. Some meds, however, can tolerate a short amount of time in moderately high temperature, explains Ms. Vandercruys. Not sure whether your child’s medications can withstand a given temperature? It is important to read the label. If your child’s medication bottle does not have a detailed label, inquire with your pharmacist, who is most qualified to answer your questions about the safety of your child’s medication. Medications should never be stored in a car, especially in the trunk, as temperatures inside a closed vehicle can get extremely hot. Additionally, meds should be carried with you when travelling by air. Medications that are discoloured, have an unusual odor, appear damaged, or creams that are separated should not be administered to your child. Any life-saving medication such as heart medications, seizure drugs, hormone therapy drugs and insulin (including glucose test strips) should not be exposed to heat, even during short excursions. If there’s a prolonged power outage in your area, contact your pharmacist to determine whether your child’s prescription needs to be replaced. It is also important to note that some medications can increase the risk of heat related illness, especially in older adults: beta-blockers, antiparkinson agents, antidepressants and diuretics are but a few. Other medications may cause increased sensitivity to the sun, otherwise known as photosensitivity. Your pharmacist should let you know if there are extra precautions you need to take while on a certain medication, but if unsure, you should always double-check.